Increasing costs of attending college, coupled with less jobs being available to those without degrees, mean that many students must seek out alternatives to paying for a college education. Fortunately, there are a variety of grants and scholarships available that students can apply for and, when awarded, use to eliminate or reduce college costs. Grants are available from a wide variety of sources and can be used for a number of college expenses including tuition, books and even room and board. Iowa students should look into any possible option, including federal grants, state grants and grants and scholarships from companies and organizations. The key is to be proactive and find out about and apply for as many grants you might be eligible for to increase your chances of receiving money to pay for college. This guide will help you find as many grants and scholarships as possible and will direct you to where you can apply for them. The first step for students seeking federal or state grants to help pay for school is to fill out the Free Application for Federal Student Aid (FAFSA). FAFSA packets can typically be found in high school guidance counselor offices, college financial aid departments, or here on the web. The FAFSA provides clear instructions and is pretty straightforward to fill out. But students and parents should be sure to set aside enough time to complete the form entirely and accurately and have important financial documents on hand, like tax forms and banking and investment information. Students who wish to complete the form on the internet will first need to register on the site and create a secure PIN. You will need to keep the login information in a safe place you can access since you will need it to make any changes or to check the status of your FAFSA. Be sure to keep deadlines in mind as you are preparing your FAFSA. The Federal Student Aid FAFSA website provides deadline information for each state. You can use this tool to find Iowa federal aid deadlines, but should check with the individual school you are applying to because a school might have a different deadline. Missing the deadline means missing out on money you could have used to fund your education, so it is important to say on top of it. The information you put on the FAFSA will determine what federal aid you are entitled to. There are several types of federal aid available to eligible Iowa students. The Pell Grant is awarded to undergraduates only except in very rare cases. It is awarded based on need. Financial need is determined based on the information provided by the student on the FAFSA. An expected family contribution (EFC) is determined based on many factors like parent and student assets, income and number of children in the family attending college that year. You can receive a Pell Grant for as much as $5,500 dollars per year to help pay for the costs of college. This grant is similar to the Pell Grant in that students must complete a FAFSA to be eligible and, like any grant, it does not need to be repaid. Only students displaying a high level of financial need will be awarded this grant, which can range from $100 to $4,000 per year. The amount of the grant will depend on factors like level of financial need and cost of the college the student is attending. Like the Pell Grant, students must only complete a FAFSA to be considered; no other special steps are necessary and students who demonstrate exceptional financial need will automatically be considered. Iowa students interested in becoming teachers might consider the TEACH grant to help finance a college education. Like with other forms of federal aid, students must start by completing the FAFSA. The requirements differ from the Pell and the FSEOG, though, because applicants do not need to demonstrate financial need to be eligible for the TEACH grant. The TEACH Grant application process does, however, require some additional steps. After completing the FAFSA, students interested in pursuing a TEACH grant must participate in TEACH Grant counseling and complete a TEACH grant agreement to serve (ATS). The place to start is here. Students receiving the TEACH Grant must be enrolled in a teacher education program, maintain high academic standards, and agree to serve in either a high-need field like math, science or special education, or teach in an approved school serving low income students. Students can find a list of eligible low-income serving schools here. This federal grant is designed to help students who have suffered the loss of a parent or guardian who was serving in the military in Iraq or Afghanistan. Students become eligible for this grant if they are not already eligible for the Pell Grant and a parent or guardian is killed serving in Iraq or Afghanistan. After taking the steps to be considered for federal grants, students should start learning about grants and scholarships available from the state of Iowa. Searching for grants or scholarships from the state of Iowa is a great next step for Iowa students looking for financial help to pay for higher education. 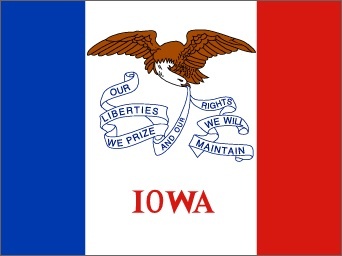 The state of Iowa offers its residents a great resource for finding relevant grants and scholarships here. Available aid ranges from basic need-based grants to grants and scholarships offered to very specific groups only. Here is some information about the different grants, requirements and instructions on how to apply. To receive this scholarship, Iowa students must demonstrate both financial need and solid academic performance. You must complete a FAFSA and an Iowa Financial Aid Application to be considered. Students demonstrating financial need and maintaining a GPA of 2.5 minimum can receive up to the current year maximum of about $7,500 to pay for college. The Iowa Grant is in the amount of up to $1,000 per year and is given to students attending or planning to attend an Iowa school and who demonstrate the most financial need. The process is pretty simple: Iowa Students need only complete a FAFSA to be considered for this valuable grant. This grant is for students attending a private college in Iowa. Students with financial need can receive up to $4,000 per year for up to four academic years. Students who are currently in foster care, were previously in foster are, or who are in a court-mandated state training school might be able to take advantage of one of these programs to help pay for college. This grant has a lot of very specific requirements, which can be found listed here. Students in the state of Iowa foster care system are eligible for this grant, which can provide assistance for tuition, room and board, books, and even personal living expenses. Amounts range from around $2,000 to about $7,600 per year. Students who are currently in foster care, were previously in foster care but adopted after the age of sixteen, or those under court order to reside at a state training school are among those who are eligible for this grant. If you meet the criteria and would like a chance at receiving this grant money, you must complete a FAFSA and an Iowa Financial Aid Application, and you must meet the March 1st deadline to receive funding for the following school year. This is another program designed to help young adults who are or who have been a part of the Iowa foster care system pay for college. Like the All Iowa Opportunity Foster Care Grant, students can use the money to pay for almost any expense including tuition, meal plans and personal living expenses. The maximum that can be received per year is currently $5,000. With this grant, students may attend out-of-state universities as long as they complete the required release and consent form. Students can find links for the required FAFSA and Iowa Financial Aid Application, along with a link for helpful tips and frequently asked questions for foster youth applying for education aid here. If you have regularly participated in the Iowa state fair you might be able to take advantage of the Governor Terry E. Branstad Iowa State Fair Scholarship. Selection is based on a variety of criteria including academic performance, financial need, community service, and of course, participation in the Iowa state fair. Only first year college students can receive this scholarship which ranges from $500 to $1,000. This grant is provided to Iowa residents attending participating Iowa barber and cosmetology colleges. Students must only complete a FAFSA to be eligible. For this grant the money is given directly to the colleges and students with the most financial need will receive the money. You can receive a maximum of $1,200 per year. Students attending an Iowa community college who are enrolled in a vocational or technical career program can receive up to $1,200 per year for up to two years with the Iowa Vocational and Technical Grant. Students must complete the FAFSA by the July 1st deadline to be eligible. Undergraduate students attending Iowa colleges or universities who are also members of an Iowa Army or Air National Guard unit can receive this valuable grant. Eligible students must complete both the FAFSA and the Iowa Financial Aid Application, and can receive up to a generous 90% of the tuition rate at Iowa Regent Universities each year in grant money. Students must remain a member of the unit the entire time they are receiving grant money, complete all required National Guard service and training and maintain a satisfactory level of academic performance to remain eligible. The Robert D. Blue Scholarship is for excellent students who display superior morals and character and a high level of literacy and academic ability. This scholarship awards $500 to $1,000 per year to chosen students and can only be received one year. Students must submit an application online. Application requirements include two reference letters, an essay and more. Full application requirements can be found here. The deadline to apply each year is May 1st. 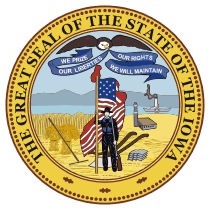 Iowa is known for being an agricultural state. Students interested in pursuing a career in agriculture can apply for several scholarships to help pay for college. Students can find all of the information about requirements and how to apply for this scholarship here. Students pursuing a career in agriculture or natural resources can apply to receive up to $1800 in award money. Students will be considered based on academic performance and leadership abilities. Applications must be submitted to the student’s local soil and water conservation district by March to be considered. Several scholarships are available to students who are members of the Iowa 4H program. A full listing of available scholarships, application instructions and deadlines can be found here. Amounts awarded range from $500 to $1,000 per year. Some are available only to students pursuing certain fields of study like agriculture, and many are available for any field of study. All 4H scholarship applicants must complete a transmittal form, an application, transcripts and letters of recommendation. The deadline for all scholarships if February 1st for the following year. The FFA foundation coordinates several scholarships available to students who are pursuing agriculture careers. This scholarship awards $1,000 per year to students who display high academic performance, good leadership and financial need. Students must attend a school that offers agricultural degrees and take at least one agriculture class each semester to be eligible. The application can be downloaded here. This new program will award five students $2,000 to attend a school that offers agriculture degrees. The requirements are similar to the Heartland Co-op scholarship, and the link to the downloadable application can be found here. The Iowa Horse Council will offer one $500 scholarship to an FFA member. Students must display leadership, academic ability and financial need to win this scholarship. Find the application link here and be sure to submit it by the March deadline. Residents of Iowa are fortunate to have such a wide variety of grant and scholarship money available to them. Students should be sure to apply for any grant or scholarship money they might qualify for to receive the most help in paying for school. Be sure to pay attention to deadlines and all specific requirements to have the best chance of being awarded the grants and scholarships you are pursuing.